Having an effective skincare routine is very important to me. I wash my face twice daily, morning and evening, and then I finish it up with a great moisturizer from Clinique. I always have been a fan of Clinique ever since I used their concealers years ago. What I was looking for now is a moisturizer that evens out your skin tone and has SPF. 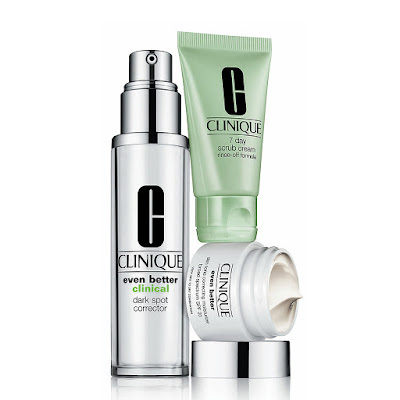 After searching the web and reading articles based on products editor's recommend, I found Clinique's Even Better collection. In 4-6 weeks, a more even skin tone can be seen and it instantly brightens your skin. When I saw the price ($48) I hesitated to spend so much money on a product that may or may not work. 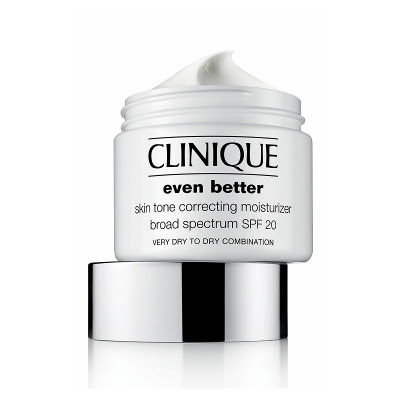 To make the leap in buying Clinique's Even Better moisturizer, I read the reviews and was pleased that most of them were positive. I'm not expecting rapid results, but I do want something that will even out my skin tone. The first few days of using this moisturizer, I could see a difference in my skin. I love that the cream is rich and lightweight when I apply it in the morning. My skin looks healthier and brigther than it has been in years. 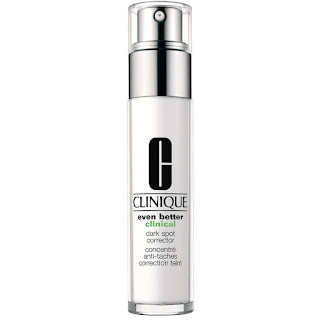 After consulting a lady from Sephora, she recommend using the moisturizer with Clinique's Dark Spot Corrector for faster results. The Even Better Collection retails for $76 for these three products. With the moisturizer and dark spot corrector, a more even skin tone is on the horizon. Of course, I have to limit the amount of time spent in the sun, but that's not hard to do. What I do like is that my skin doesn't get dry or irritated after each use. That's the biggest issue I had with past cleansers and moisturizers was how dry it left my skin. Even after applied cocoa butter it still felt dry. Clinique's products do the complete opposite and I couldn't be happier. For the price, I can say that both are worth it. If you want give the Dark Spot Corrector a try, there are 3 sizes to choose from on Clinique retailing from $49.50 - $144.50. I have tried the Clinical serum and it feels great on my skin but I need full size to experience the full effects! Great review!